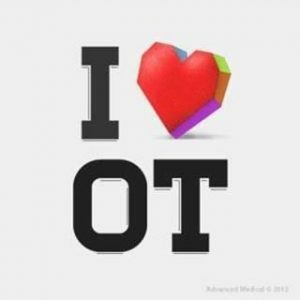 October is Occupational Therapy (OT) Month! Occupational therapists (OTs) are health care professionals who help people to resume or maintain participation in a variety of tasks – their jobs, leisure and social activities, getting around, caring for themselves and their home, and much more. OTs can help clients to solve problems that interfere with their ability to complete their every day “occupations” (activities) within the domains of self-care, productivity, and leisure. Our Registered Occupational Therapist, Jocelyn Schubert OT Reg. (Ont. ), predominantly works with clients who have suffered from a concussion and are experiencing ongoing symptoms. Jocelyn utilizes various assessments to gain insight into cognitive, visual perceptual, physical, emotional, and psychosocial function – taking a holistic approach. Therapeutic intervention can include; education regarding symptom management, activity scheduling, planning and pacing, cognitive remediation, compensatory strategies and equipment, and particularly returning to work or school after illness or injury.